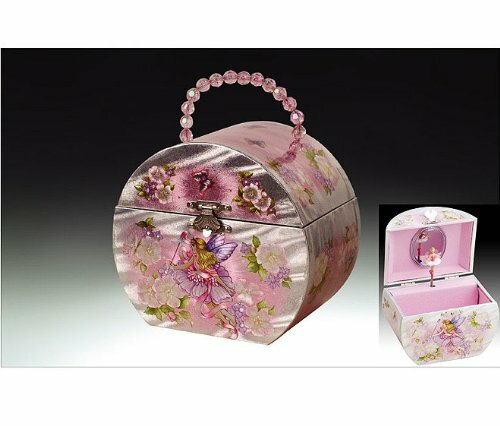 This handbag musical jewelry box features an arched lid that lifts up to reveal a twirling fairy and mirror. 18 note music box plays Swan Lake. Dimensions: 6" x 3 3/4" x 5" Wood fiberboard Construction. This handbag musical jewelry box features an arched lid that lifts up to reveal a twirling fairy and mirror. 18 note music box plays Swan Lake. Dimensions: 6" x 3 3/4" x 5"
If you have any questions about this product by Broadway, contact us by completing and submitting the form below. If you are looking for a specif part number, please include it with your message.